Has your kitchen table seen better days? Sounds like it’s time to head to a reputable furniture store to select the next generation of kitchen table furniture that will serve as the heart of “the heart of the home”. Your kitchen table is an important purchase; it’s the place where couples or families gather to share meals, enjoy quiet cups of morning coffee, do homework or discuss important future plans. It’s also a staple piece of your kitchen’s interior design. If you make the right choice now, this will be the last one you ever buy. A well-made table with a timeless design can be refinished and/or repainted to suit the more transitional tastes throughout your life while the body of the table remains unchanged. Here are some tips for choosing a table that will work in your household’s kitchen for decades to come. Unlike formal dining room furniture, which is the star of the show, your kitchen table is one important player in a room filled with other important players like countertops, islands, cabinets, etc. It’s a busy place so you want to make sure that your table size and placement works for the way your kitchen is used. Keep in mind that you want about 36-inches from a scooted-in chair back to surrounding walls, countertops, cabinets or people who are passing by. The small round kitchen table is the ideal but it isn’t always feasible, especially for larger families. If more than four people will be sitting at the table on a regular basis, look for either a round table with a leaf option (this will comfortably seat six and can accommodate more in a pinch) or opt for a rectangular table. As for size, you will be considering the same factors as we mentioned for placement, ensuring the table is small enough that it won’t become a nuisance during day-to-day kitchen hubbub, especially when the chairs are occupied. For some families, the kitchen table set is arguably the most multi-purpose furniture pieces in the house. For this reason, the make and materials of the table needs to match the activities that will be taking place there. Are you a retired couple? Enjoy the luxury of choosing from more delicate and ornate wood designs. Is the table likely to be the recipient of book report glue and a science fair chemical accident? Then make sure you select a sturdy design with a tabletop that has a durable finish. If you have been a tried-or-true traditionalist or modernist, then go with that. Otherwise, we recommend working with a furniture designer to choose a transitional kitchen table design that can go either way, regardless of what interior design phases or changes your kitchen goes through. As we mentioned, your kitchen table furniture has the opportunity to last for decades and, hopefully, for generations. If you make the right investment now, your grandchildren will lovingly eat their dinners at that table as adults, remembering childhood memories from when the table was in your house. Choose a kitchen table set from a high-quality furniture maker. Not only will this guarantee the materials and craftsmanship are the best, you’ll also have the opportunity to customize the wood(s), chairs, finishes, etc., that will make the table and chairs unique to you. 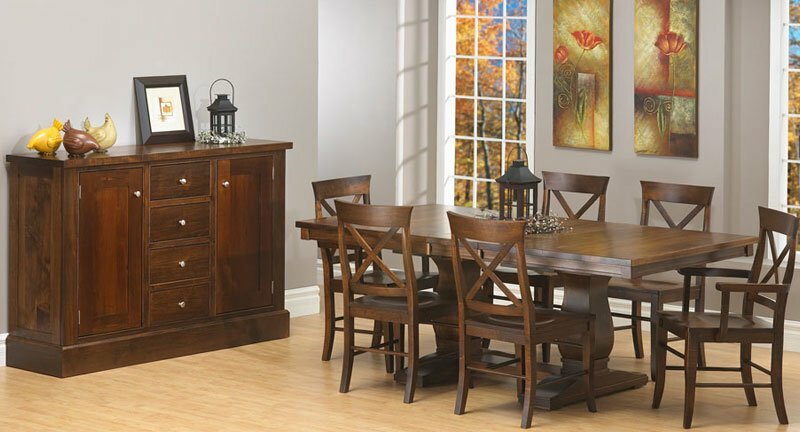 Is your family ready to make the investment in a kitchen table furniture set where memories will be made? 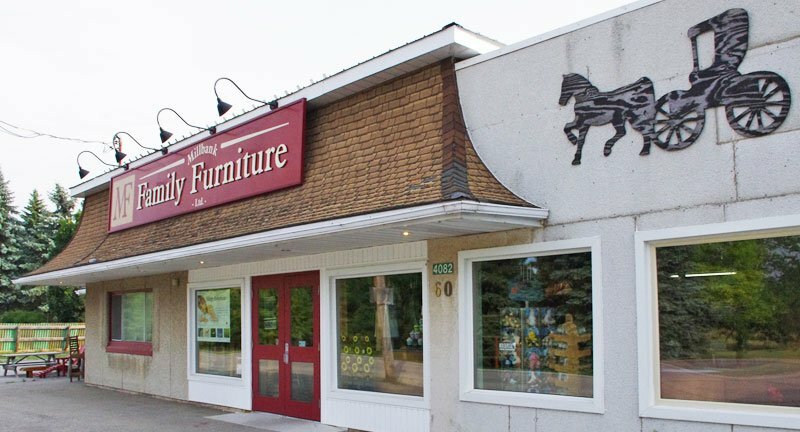 Schedule a consultation with Millbank Family Furniture or visit our showroom and be inspired.